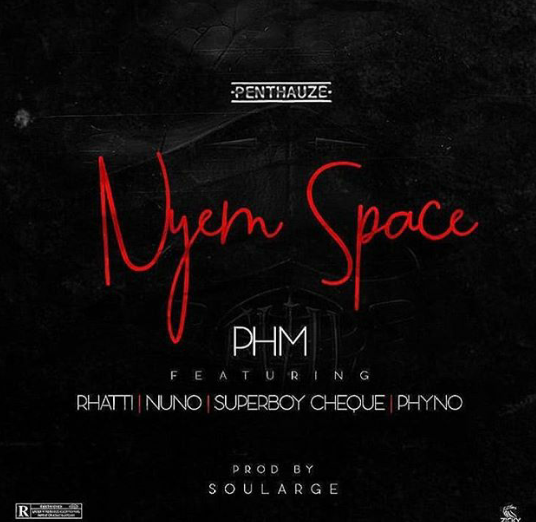 Penthauze Music record front man ,Phyno is set to drop a new song featuring his three latest signee, Dante Rhatti, Nuno Zigi and SuperBoy Cheque. The song which is tilted "Nyem Space" meaning "Give Me Space" is produced by Soularge. Anticipate this one from the Penthauze family and don't forget to get it first on our website once it drops.